Luv, Luv, Luv, the $100 dollar bill cards. They are fun to use and memorable for those who receive them. They generally have just enough information to peak someone’s curiosity to make them want to call. 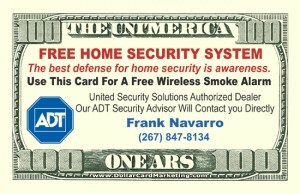 I love seeing my customers face when I hand them my $100 dollar bill business cards. Sometimes I get the response of my customer trying to hand them back while others stop and stare and think, “Is this guy crazy, or what?”. You can leave them just about anywhere and someone’s bound to scramble to pick it up within seconds Either way the cards have worked well for me. ← Top notch customer service and the best drop card out there…Period!! !